B2B Lead Generation : What Works and What Doesn’t? Leads are the lifeline of a company. Without leads, a company won’t have any clients. Without clients, there are no profits. Without profits, a company has no reason for being. In other words, without leads, you’re dead. As much as leads are essential, lead generation, on the other hand, is the most challenging position anyone can have in a B2B marketing company. Ask any lead generation guy, and it won’t be surprising to find out that he has a bad case of an ulcer. In such a very stressful position, who wouldn’t develop such kind of pain? “Well, the Internet surely has a lot of information about that,” you say. If you don’t believe that, what do you think about the following advice? Share a funny picture of your grandma on Reddit to engage your target audience. If you have been in B2B marketing for quite some time, you know that these do not work at all. Does it mean we ditch social media altogether? Of course not. If you use social media in your lead generation activities, be sure to use it strategically. Before we delve into that deeper, however, here are two facts about B2B lead generation for you. No one really knows for sure where the biggest amount of leads come from. Twitter is the least effective lead generation channel. Tweet this! Where did that “Others” come from? The information only shows that as B2B marketers, we should stop looking for the pot of gold leads. Instead, you have to understand that lead generation is a combination of different activities and behaviors that work but cannot be quantified. In other words, it is a mashup of various interactions, efforts, and activities you have made along the way. Okay, so the statement might sound so harsh. Twitter works but not in the way most B2B marketers expect compared to other lead sources. Different data gathered by various groups showed that many marketers use social media, but they yield the lowest lead sources. Placester compiled lead generation data and showed that among the social media channels, Twitter is at the bottom and LinkedIn is at the top as the strongest source in B2B lead generation. Use social media to direct visitors to your websites – make it easy for your social media visitors to go to your site by providing different links that lead to your website or your landing page where you can capture them with various offers and promotions, newsletter signups, and more. Create newsletter signups on your social media pages – you don’t have to lead your visitors anywhere. Instead, you can invite them to signup for your newsletter right there on your page. Put the CTA to use – social media’s primary purpose is for marketing, so why not put that Call to Action to good use and invite your visitors to give you some feedback, go to your landing page, or present your product to them. Focus on LinkedIn – LinkedIn is an excellent source of leads for B2B lead generation, so make sure you are active on that platform by joining groups and participating in discussions. You can also pay for lead collection, which is the easy route on LinkedIn. People love gifts is an understatement. The present becomes more meaningful to the recipient if it solves a need the person is looking for. With that in mind, boost your lead generation efforts by giving away free stuff, in which case tools that will help your target audience. It should be digital – The reason is simple – digital is easy to transfer and can be delivered immediately. It is content marketing – There are many opportunities for content marketing and giving away free stuff is just one of them. Marketing automation is popular among digital marketers nowadays; however, only a few understand it full well. Marketing automation allows you to track the buying and social media behavior of your target audience. Once you identify those leads, you nurture them by sending them targeted content. You smoothly guide them through the marketing funnel with the help of the software. The term “marketing automation” often misleads many marketers into thinking that because it is automated, everything will be a breeze. On the contrary, it is quite complicated because it requires a setup process for it to become a success. No matter what kind of B2B lead generation strategy you might have, it will require much hard work. Take note of methods that work and keep an eye on new tactics. What B2B lead generation method(s) give you the best results? Take your business to the next level with B2B Lead Generation! Marketing is a dynamic landscape which make it compulsory to lend your eyes and ears for industry news and updates. These numbers might as well give you clues on what to put on your marketing platter and hook more prospects attention. Update your present knowledge about B2B lead generation than some stats we have culled from the deepest corners of the web (actually, from HubSpot.com). As a marketer, part of your day involves knowing the pulse of the B2B landscape. By that, we mean getting a good grasp of current trends and situations. As marketing strategies and lead generation techniques continue to evolve, so too should you continually change your perception of the market to ensure you won’t get left out. What better way to update your present knowledge about B2B lead generation than some stats we have culled from the deepest corners of the web (actually, from HubSpot.com). 48% of marketers build a new landing page for each marketing campaign. (MarketingSherpa) tweet this! 68% of B2B businesses use landing pages to garner a new sales lead for future conversion. (MarketingSherpa) tweet this! 16% of landing pages are free of navigation bars. (MarketingSherpa) tweet this! 48% of offers have multiple offers built in. (MarketingSherpa) tweet this! 42% of offer-related graphics on landing pages are not clickable. (MarketingSherpa) tweet this! The biggest challenge B2B marketers face in regards to lead generation is generating high-quality leads (61%). (B2B Technology Marketing Community) tweet this! Outsource your Lead Generation to one of these companies in Topten Sales Leads Generation Reviews! 84% of companies that have a CRM have a lead scoring process in place to determine the quality of leads. (Direct Marketing News) tweet this! Content marketing generates 3 times as many leads as traditional outbound marketing, but costs 62% less. (Demand Metric) tweet this! 37% of B2B marketers are using marketing automation to generate leads. (MarketingProfs) tweet this! 44% of B2B marketers have generated leads via LinkedIn, whereas only 39% have generated leads through Facebook and just 30% through Twitter. (ReachForce) tweet this! B2B marketers say that their greatest barriers to lead generation success are the lack of resources in staffing, budgeting, or time. (B2B Technology Marketing Community) tweet this! Nearly 50% of B2B marketers’ lead gen budgets will increase this year, compared to 44% that will remain the same and 7% that will decrease. (B2B Technology Marketing Community) tweet this! 71% of B2B marketers use content marketing to generate leads. (MarketingProfs) tweet this! People are more likely to visit a B2B tech company’s website after seeing a tweet from the company, getting them one step closer to becoming a lead. (KoMarketing Associates) tweet this! It looks like content is still getting some of the limelight in B2B marketing. But you can’t have effective content without an effective website of course. As the year is coming to an end, it is important for marketers to look back on the trends that defined 2014. We can come up with numerous effective B2B lead generation practices. But in the first place, why retrogress? Well, we all subscribe to the notion that the past is essential in molding the future. B2B marketing takes this into account by studying past actions and presenting them as bases for future marketing plans. While, 2015 is just two good months away, it is important to know the lead generation practices being emphasized, with special focus on their strengths and weaknesses. This influences future actions and provides insight into market expectations, developments in marketing tools as well as the performance of key audience touch-points for generating B2B leads. These observations are essential in that they can serve as references for creating better strategies. Look forward to a better marketing performance next year by considering these key trends of 2014. Blog content. In a infographic by WebDAM, businesses that manage a corporate blog generate 67% more B2B leads than those that don’t. This runs the fact that blogging hasn’t lost its flair among marketers. In fact, it is still encouraged as an effective platform for sharing company information with specific targets. Video-based campaigns. The use of video-based campaigns for brand promotion and community fostering has become a prominent trend with the sudden popularity of the ALS Ice Bucket Challenge. For B2B marketers, the trend points to the potential a company message has when presented via video sharing sites like YouTube. WebDAM notes that landing page videos prove to increase site conversions by 86%. Marketing automation. TME Marketing has listed marketing automation as the top lead generation trends for 2014, solely because the ease it provides in terms of managing your mailing list and personalize your emails based on specific audience profiles. And given the fact that increases conversions by 50%, it will continue to be a vital component in any business’ CRM infrastructure. SEO development. Revisions in Google’s search engine algorithm are constant, thus necessitating the need to develop vital SEO metrics such as keyword data and conversions. As a matter of fact, it is always important to focus on having an SEO program that anchors on industry-related keywords that managers and executives often search. Taking these key insights into account can very well improve your marketing activities for next year. It is just a simple matter of harmonizing your B2B lead generation processes. Your website is obviously an important facet in your B2B lead generation campaign. Aside from providing exposure, it acts as a bridge through which you and your prospects can easily engage each other in professional dialogue. More importantly, it can also help locate the right kind of people for your sales pipeline with the use of lead capture devices. One can never really doubt the importance of lead capture devices. Information after all is important in determining high profile B2B leads that are sure to convert. With this in mind, it is imperative for marketers to optimize their lead capturing for better lead production, which is something seldom practiced by many B2B business nowadays. This in part involves planning a landing page that produces contact information. Further, there is a need to create lead capture devices that attract one’s target audience. These considerations constitute the main challenges in B2B lead generation and lead nurturing. However, these can be countered by reading the tips below. Focus on content rather than increased web traffic. The volume of site visitors might be an object of satisfaction. In reality, however, not all of these visitors would stick around for long. In fact, a good majority would not go so far as clicking a link or going through the site’s menu. What is needed is content and a site design that keeps users interested. For the sake of generating high quality B2B leads, go for simple site designs that are professional-looking without coming across as hyper-minimalist. Fertilize your fill forms. Now, the worst thing you could do with your landing page is to supply it with impotent fill forms; impotent in the sense that they lack a sense of urgency, or suffer from an overdose of it. Clearly, it is important to remember the fundamentals of efficient web fill forms for B2B lead generation: answer fields that require specific information, a call to action or submission button, and a catchy design. Offer free informational materials. Always keep in mind your B2B prospects want to learn new things about their industry. And they are also determined to learn about the issues they are confronting as well as the corresponding solutions. Supplying them with free informational materials such as newsletters and eBooks can stimulate their interest to learn more about your company. Other than that, every subscription corresponds to B2B leads. Optimizing your website for B2B lead generation entails a lot of hard work. But the brunt of the task can be mitigated by partnering with a firm that specializes in lead management and appointment setting. As if the world hasn’t had enough of political and social problems, Japanese company Sanrio has recently announced that the phenomenal pop culture icon we know and love as Hello Kitty is in fact — pause — not a kitty! That’s right, folks. The character that has permeated items from purses and lunchboxes, to cartoons and video games is not what she appears to be because she is actually “a little girl with a heart of gold,” says Sanrio. But people who have been well acquainted with her catlike whiskers and catlike nose and catlike ears since 1974 are having none of it. We might expect Kitty-related riots in the coming weeks. Meanwhile, the B2B marketing world has also felt the impact of this (childhood shattering) announcement that sheds light on how companies develop their brands for a more efficient lead generation campaign. Indeed, the Sanrio Revelation was shocking, but somehow reflects important insights into the nature of modern product branding and content marketing. So, despite her name and physical features, Hello Kitty is actually a girl living in England who goes by the name of Kitty White. Plus, she owns a pet cat, which is a fact that aggravated talks over her possible fondness for slavery. While we could spend sleepless nights thinking it over, we can only assume that Sanrio has put in a lot of effort in giving Kitty (or Ms. White) a personality and a relatable backstory to boot. “The plot twist to end all plot twists” was first picked up by an American anthropologist and then by an LA newspaper. After the latter posted an online version of the story, the issue instantly sparked off outrage and existential debates in various social media platforms. This only demonstrates the minimal amount of time it took to turn simple product declarations and ideas into trending topics and there is a constant need to leverage such immediacy. Sanrio has made compelling reasons why it calls Hello Kitty a human. In fact, they might have a point in wanting her to transcend animalistic dimensions. Sanrio believes that Hello Kitty is not just a brand or a face on a wallet. It simply wants to point out that, given her loyal fanbase, she deserves the same affection as we do for pets whom we call our equals. Effective branding entails such a close relationship between seller and buyer. The same goes to targets for both inbound and outbound marketing campaigns. The storm over Hello Kitty’s true nature may not stay for long. We could get used to it. But we can never deny the strong impact and appeal that the adorable character has nurtured over the years. What the storm demonstrates is that we have already revered her as an icon and a human heritage treasure that brand marketers can look up to. Remember that time in high school when you realized that the best way to get instant popularity is to hang out with people who are already popular? When being a part of a clique or gang takes your “image” to a whole new level? That applies in online marketing, too. Being associated with influencers not only opens doors to more leads and potential clients, it also improves your brand reputation within a niche and even beyond. It can also help you easily reach a “thought leader” status (if you aspire to). Give more than you take. When interested in making contact with an influencer, first determine what you can offer that will be of value to the contact. You can offer to interview the person for your blog or for a special report on your web site. Alternatively, you might be involved with a professional or trade organization where you can introduce the individual to your own network of influencers. It’s usually possible to research influencers’ past writing and speeches, interests, and pet causes with a simple online search. Don’t waste their time asking basic questions or for information that is easily available online. Instead, find common points and use those to find areas where you might connect. Reach out via phone or email instead of social media because it’s more personal. However, take your lead from the influencer’s cues. If he or she is active on Twitter or carries on online conversations on his or her blog, that might be a good way to get in touch, too. When reaching out for the first time, make it short and sweet. Don’t ask for anything that will take more than 10 or 15 minutes — a brief interview or a straightforward question or two. People generally like to help, but they may not have time to answer lengthy questionnaires or get involved in a seemingly endless back-and-forth. If someone has helped you, ask the individual if there is anything you might do to help him or her. The individual may be dealing with a challenge you can help alleviate. If not, the ask is another form of relationship building, showing the influencer that you’re interested in giving back. 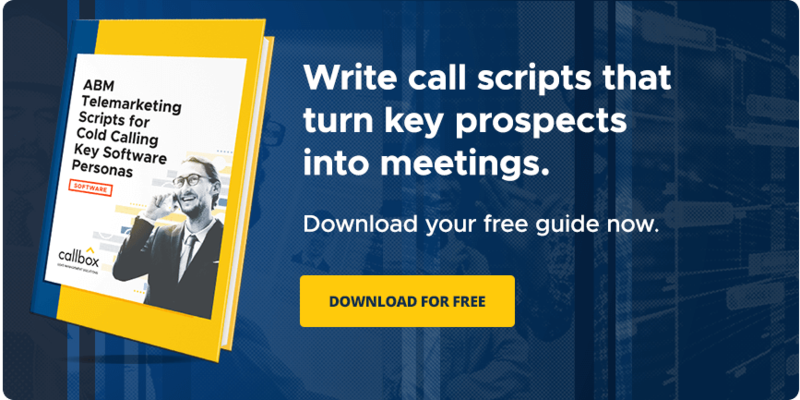 No matter what strategy each business employs for their B2B lead generation campaign, one ultimate goal stands out: getting prospect information for them to become leads. Whether it’s through subscriptions forms, call to actions or downloads, marketers would use every tactic to achieve this goal. But prospects don’t just give out information – you have to persuade them to. It could be in the form of a very compelling content piece or an awesome freebie. This is the value of incentive. It’s the trade we make with prospects for them to give us what we want. Do your incentives provide tangible value to your visitors? Incentives come in many forms and differing levels of value. Which should you choose? Which will provide value to your prospects? There are two important things to consider when thinking about incentives: cost and relevance. Will visitors to this landing page find the incentive relevant? Will it meet their needs or prove valuable to them? Ultimately, the right incentive for your offer depends on the product and business model, the motivation of visitors, and how the incentive builds momentum through the buyer’s funnel. Find an incentive that provides added value by complementing your product or service and matching your visitors’ wants. If you can offer a low-cost incentive that provides high value and ROI, that option is likely a good fit for you. Is contact with a real person a valuable incentive? Another approach to B2B lead generation offers you can use is contact with a real person. This can be contact with an expert on a widget or a representative who can help prospects navigate an extensive product line. Do visitors need help with your product offering? Will speaking with a person help them make a better buying decision? Can contact with a representative expedite the buying process? Be careful though, if your prospects don’t perceive a personal contact as valuable, you could scare some away. But, you’re almost assured that those who do make it into the funnel will be of a higher quality. Can you offer direct access to something your prospects want? Offering exclusive access as a lead gen incentive is another option to consider. Are you offering access to something visitors are looking for? Is there value to be found in the resource they will access? How motivated are visitors at this point? Is there a way to provide a sample or preview to build interest? It all depends on whether you can offer access to something visitors find valuable enough to convince them to share their most intimate details. If you have a high demand resource or product page, go ahead and try this approach. Edge Marketing: What sets you apart from other B2B Lead Generation Companies? Think of your business as a weapon, particularly a sword – you know, those medieval-type ones that are ridiculously long and impossible to carry unless you have biceps like a wrestler’s. And just like a sword, you need to constantly make sure that its ‘edge’ is sharp. With so many marketers in the world aspiring for success in B2B lead generation, you’ve got to have something that makes you stand out. It’s what makes people notice you despite the crowd of choices. It doesn’t matter how many advanced technologies you have or the modern tools you use, as long as that edge is left to blunt, your rivals will leave you behind. Market awareness – When a business knows who their customers really are, it’s already a point in favor of having an edge over others. Familiarity gives you sort of a natural instinct on what you need to do to attract and keep them loyal. This prevents you from committing devastating mistakes and guarantees that you have a certain ‘connection’ with your target market. It’s a huge help in developing a brand image, too. Competitor knowledge – If there’s anything The Godfather has taught us, it’s that we need to keep our friends close and our enemies closer. Lead generation doesn’t really involve Italian mob wars, but when it comes to things that are ‘strictly business’, who better else to learn from? Knowing how your rivalry operates gives you a competitive edge, not to mention a chance to learn from their mistakes. Value proposition – Selling goods and offering services go beyond a typical business transaction; it encompasses the fulfillment of one’s business needs, and that can only be accomplished when a unique value proposition is offered. There should be an emphasis on value – the thing that connects your brand to the people who need it. Market awareness keeps you guided on how to deliver your marketing message and place yourself in the industry. Competitor knowledge keeps you in the game and ensures your survival. Your value proposition solidifies your purpose and role in your niche, ensuring that your business will be one of the top choices for prospects. With these 3 components secured, your marketing sword can cut through any adversary. callbox https://www.callboxinc.com/assets/callbox-logo.svg callbox2013-12-26 09:44:542016-08-09 04:48:34Edge Marketing: What sets you apart from other B2B Lead Generation Companies? Everything you need to know about blogging and how it can help you achieve your B2B lead generation goals can be broken down into two parts: quantity and quality. The measure of good content is subjective, but its influence in brand awareness, engagement and action responses are measurable variables that make up the perfect reason why marketers need to blog. Views – If no one reads your blog, that’s obviously a problem. CTA – It’s important to know if people are noticing your call-to-action buttons, and whether or not they result to a lead conversion. Social shares – Social media is the coliseum of brand awareness and viral marketing. It’s good to know whether your content is making rounds online. Form conversion rate – The pièce de résistance. Clicking on your CTA is one thing. Your offer must be so valuable that giving up name & email is worth getting it. If you want to generate leads, you want a high form conversion rate. Still, nothing is as important as quality. It’s what sets your content apart from the thousands of articles scattered online, and it bears the most important asset you could get from your audience: a good impression. Blog title –Ingenious blog titles help you rise above the fray. It’s the packaging. It’s the marquee lights. It’s the movie poster. It’s what drives people in. Hierarchy of sales message – You don’t just throw everything at your reader; it must follow a logical sequence for them to effectively absorb what you have to say. Persona match – Your content must be resolutely directed to the buyer personas you’ve established while getting to know your target market. Body – The main content of your blog post has one objective: communicate as effectively as possible. There is a direct relationship between great blogging and lead generation, so if you want your blog to produce leads, evaluate both its quantitative and qualitative aspects. To make sure everything’s working well, visit these values from time to time. Although it’s been repeatedly depicted in movies and novels, you really can’t trick people into buying things they don’t want or need. You can’t hypnotize them and make an army of loyal customers. The best you can do is motivate them, persuade them or stimulate them. And how do you do that? Why is that line so famous? Aside from the fact that Marlon Brando uttered it, the line also presents a solution to most of our problems when dealing with other people. To get their attention, or to get something out of them, make them an offer – one that’s hard for them to pass on. In essence, that’s what lead generation is all about. It’s a delicate process, and it involves understanding the people that you’re selling to. In Business-to-Business (B2B) marketing, it gets even trickier – this necessitates an even deeper discovery of how these prospect companies engage themselves in vendors and potential business partners. Is your product or service what they WANT? A lot of businesses have something that customers can benefit from, or things that would help them reach their goals. Sometimes, businesses even have thing that customers NEED. However, if customers don’t WANT these products, everything else won’t matter anyway. For instance, you’re an IT vendor trying to sell the latest email marketing automation software to a company, and this software is an absolute necessity – it cuts costs, manpower and increases efficiency. However, if that particular company doesn’t want your product despite how perfect it is, you’re still going to have a difficult time to convince them. What are the offers that prospects bite? If a prospect is able to see any of these offers, they have no choice but at least consider your business. In the end, it’s all about presenting them what they desire, because when it comes to weighing things, it’s easy to convince them of what they need, but it’s difficult to impose on what they want.